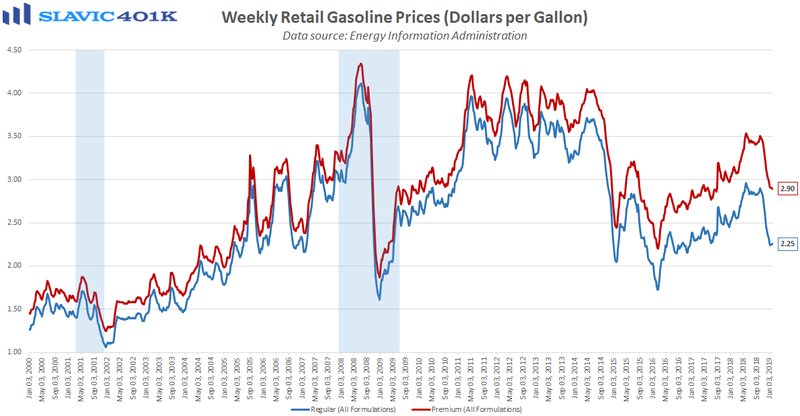 The latest data from the U.S. Energy Information Administration showed that the average cost for Regular gasoline in America edged lower over the past week to $2.25 per gallon, the first decline since the start of the year. Regionally, the cheapest gas in the country can be found in Oklahoma, where a gallon of Regular costs just $1.88 on average, while residents of California as usual have to pay the most in the continental U.S. for Regular ($3.23/gallon). More importantly, the average price Americans pay at the pump is down 23.90 percent from the nearly 43-month high hit last May. 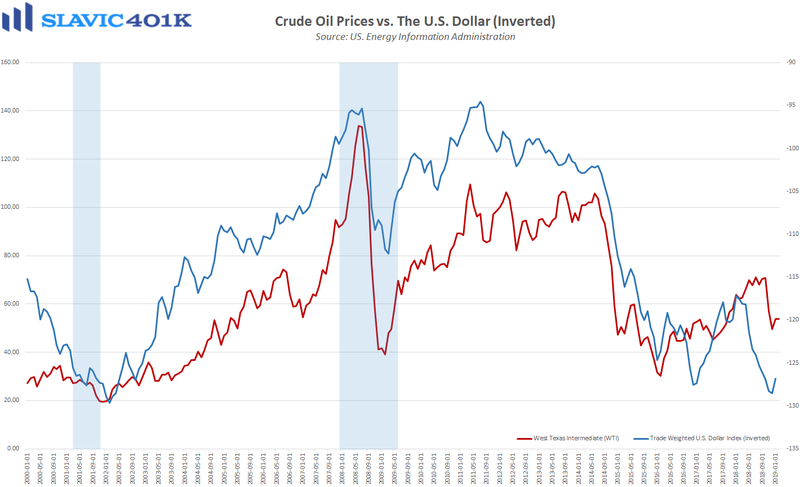 Most of that decline has occurred since October, which is not surprising because the price for a barrel of oil (WTI) has fallen by roughly 30 percent during the same period. An uptick in supply, helped by increased U.S. production, has been the main driver of recent weakness in the price of crude, but OPEC could announce output cuts to “stabilize” prices. Other potential catalysts for oil price volatility include tougher sanctions on Iran and the eventual outcome of the trade talks between the United States and China. 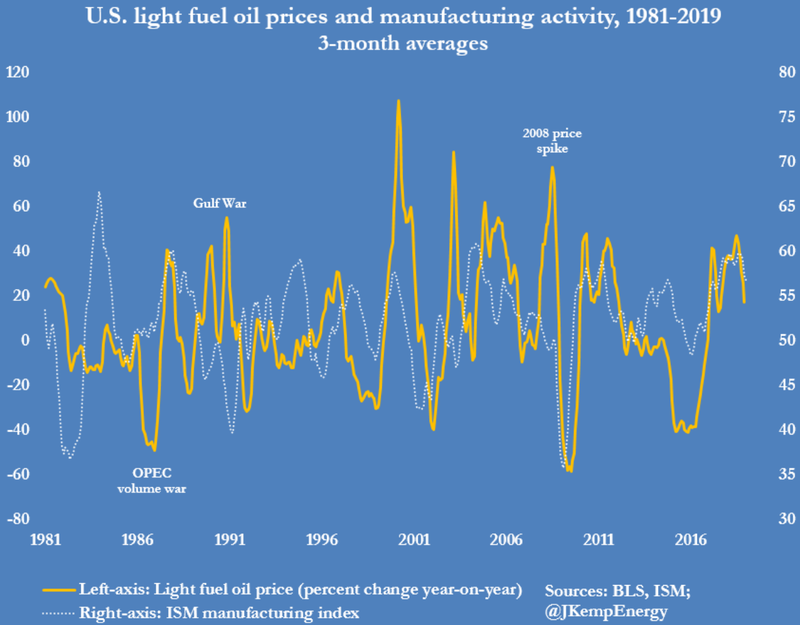 The latter is perhaps the most important issue for energy markets because a trade deal, or a failure to reach one, could greatly influence global economic growth in 2019 and in turn overall oil consumption. 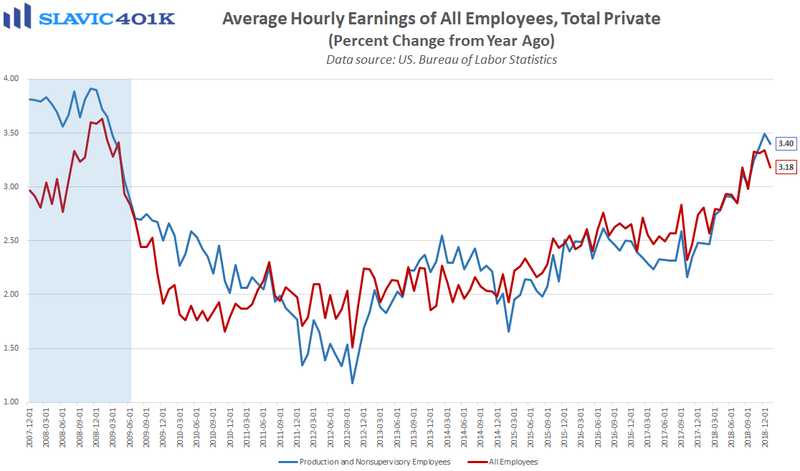 Although Americans can adjust to gradual changes in energy costs, a sharper turn higher in prices would eat away at recent wage gains and add to the growing list of headwinds for consumer spending.